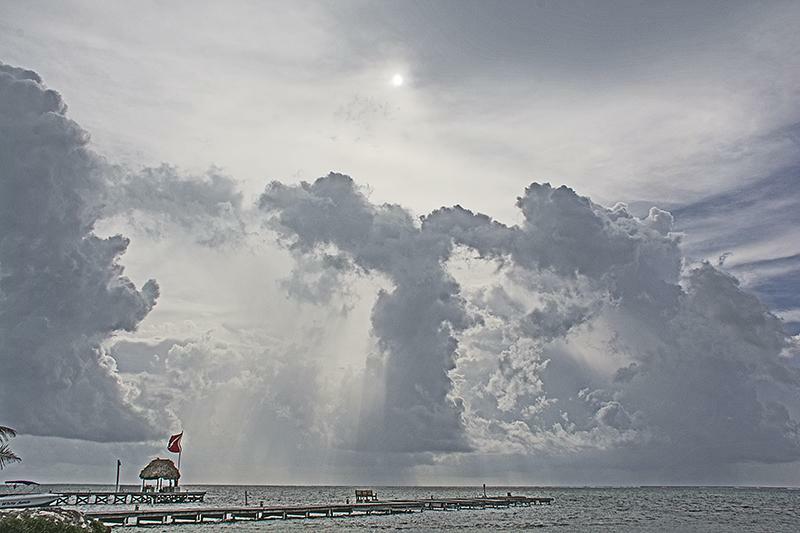 Belize NMS: A tropical wave affecting the country maintains moist and unstable conditions. 24-hour forecast: Cloudy at times with a few showers and thunderstorms mainly over central and southern districts. Winds: East - northeast 10-20 knots becoming gusty near the heavier showers and thunderstorms. Today: Winds: E-NE 10-20 kt. With higher gusts; seas:Choppy-rough. ; waves: 3-7 ft.; some showers and a few thunderstorms. Tomorrow: Sunday night:- winds: E-NE 10-20 kt with higher gusts. ; seas: Moderate-rough. ; waves: 4-7 ft.; some showers and thunderstorms. General Outlook: For Mon. and Mon. night:- cloudy with some showers and a few thunderstorms over most areas, but especially the south.